Marriage is an important social institution uniting two people of different backgrounds coming together to raise a family. This process is an important part of our life and sooner or later, almost everyone has to plan marriage. 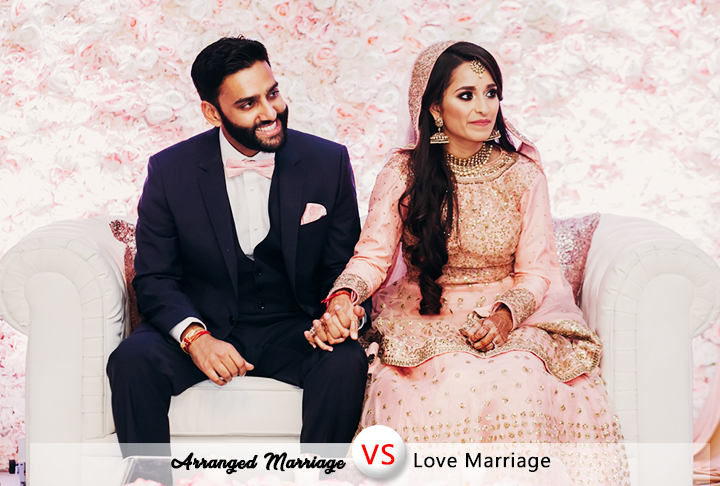 Today, we’ll be discussing the debate around an arranged marriage vs love marriage. Want to know why some parents still prefer to arranging a match for their children on a matrimonial website? Let’s find out in this article how this works and what the benefits are in both types of marriages. It would surprise most people but up to as much as 90% of Indian marriages are still being arranged by parents and families. Although statistics have shown that this type of marriage lasts longer, it comes with several benefits as well as disadvantages. People find their match on a matrimonial website in arranged marriages often have the support of their families and relatives more than in the other type. Couples in an arranged marriage would usually spend the first few years of their union intimately and they can easily adjust to each other. They seem to care more about each other and they can get to resolve domestic issues faster. Although this may seem frustrating in today’s world a lot of several Desi matrimonial USA and other places still prefer arranged marriages despite all of the possible demerits. Other parts of the world today are embracing love marriages although it is not without its own benefits and demerits as well. In love marriages, the decision to marry is made by both partners and not subjected to family decisions. The couples get to learn more about themselves before marriage and this often does not involve much sacrifice or compromise unlike in arranged marriages. Although statistics have shown that arranged marriages which have been modernized into finding matches on a matrimonial site today last longer, both types of marriages would need trust, understanding as well as enough commitment to make things work. « How to Find a Match for My Daughter?